Oreo’s always hit the Spot! Growing up, there were two types of people in my book: those that ate Oreo’s like normal cookies, and those who ate the cream filling first, and then the cookies. Belonging to the latter group, I remember that I ate my fair share of cream filling, but often threw the cookie pieces away. As an adult, I’ve come to discover that Oreo’s are more than just a cookie and can be the universal ingredient that can make ALL desserts that much better. For proof, I present 21 recipes that will take your favorite cookie to the next level of food greatness. 1. This chocolate peanut butter Oreo baked Alaska is everything that is good and delicious in this world. 2. I thought chocolate mousse couldn’t taste better…then I saw this Oreo recipe. 3. How pretty does this cookies and cream brownie bark look? 4. 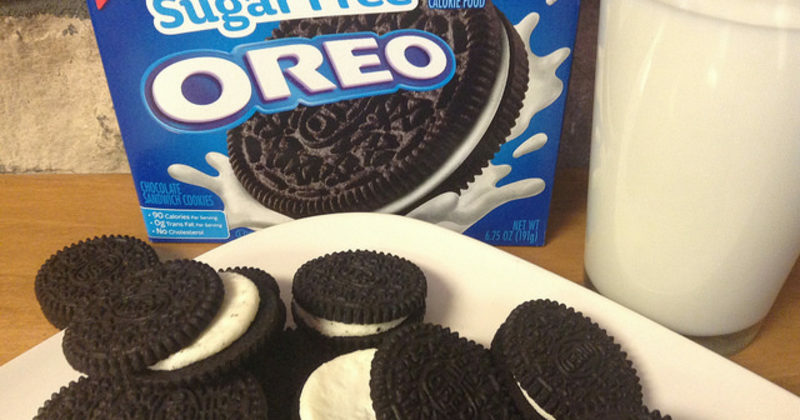 Muddy buddies are good, but by adding Oreos, the snack is WAY better. 5. This at-home take on Pop-Tarts is sure to make breakfast that much better! 6. Get your chocolate fix with frozen mocha Oreo bars. 7. This no-bake Oreo cake really layers on the deliciousness. 8. This recipe combines my three favorite things: funfetti, Oreos, and blondies. 9. For more traditional bakers, try out this chocolate Oreo bundt cake. 10. This is a dessert after my own heart (or liver). 11. This recipe is so delish, you won’t even know it’s vegan. 12. This Oreo peppermint ice cream is perfect for right around the holidays. 13. These Oreo churros look too good to eat…but if you insist. 14. Oreo beer bars are everything I’ve been missing in my life. 15. If you’re watching your weight, skinny Oreo pancakes will do the trick in fulfilling your sweet fix. 16. Marbled Oreos are a true work of art. 17. Who knew you could make something like Oreo and Nutella s’mores in the microwave? 18. Dessert is even better when there’s no baking involved. 19. Oreo hot chocolate will keep you warm on those cool fall nights. 20. Peanut butter, Oreos, and fudge — what more could you want out of ice cream? 21. These red velvet Oreo cupcakes will quickly become your favorite go-to dessert for family functions. Uh-oh, Oreo! I have no idea which of these tasty treats to make first.